The poor old RM is pretty much BEAT and ready for pasture. This picture is from its younger days. 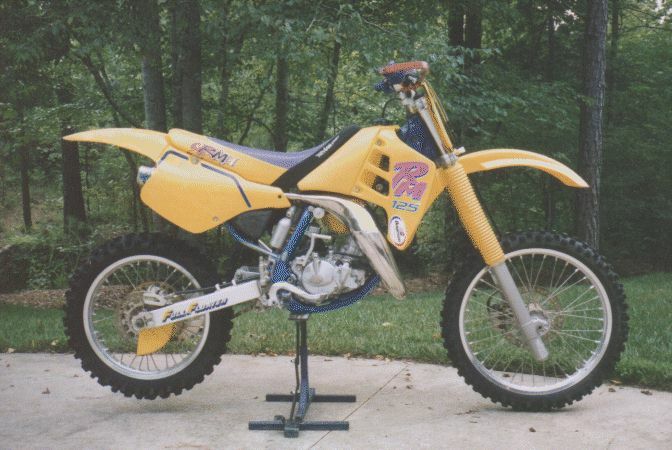 Its an '89 that I bought new in 91 and its been raced more times than I can count. Sitting outside for 6 months when I moved to Virginia pretty much totalled it.